One of the best safety measures that you can rely on while out on the water is the use of personal flotation devices (PFDs). A personal flotation device, also referred to as a life jacket or life preserver, is a piece of equipment designed to assist a wearer, who may be either conscious or unconscious, to keep afloat. In case you’re wondering, you can check your state’s PFD requirements here. The bottom line is that PFD’s save lives, but these devices will only work as they should if they are maintained and stored properly between use. 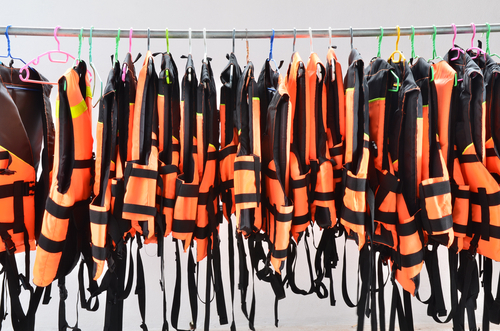 Here are a few tips and advice on how to store and maintain your personal flotation devices to be sure they’re always ready to go at a moment’s notice. To keep PFDs clean, all you need to do is wipe them down with a solution of mild soap and warm water and then rinse thoroughly. 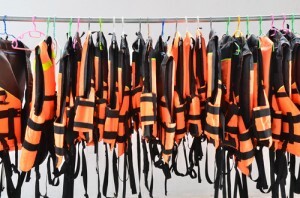 When cleaning stains from life jackets, use a stiff-bristled brush to gently scrub them away, but avoid using bleach, solvents or other stain removers. The strong chemicals in these products can break down the materials PFDs are made from, thereby compromising their integrity. When exposed to salt water, a quick rinse is needed to remove residue before allowing your device to dry. After washing your PFD, hang it up in the open air away from direct sunlight and leave it there to dry thoroughly before storing. Never place it in the dryer or near a heat source, as this could cause the vinyl or plastic components to warp or crack. Personal flotation devices should never be dry cleaned. It is also a good idea to manually inflate vests from time to time in order to check for leaks. Allow them to remain inflated overnight to be sure they are working properly, and repair or discard any that are not holding air as they should. Boating laws typically require that PFD’s are readily accessible to all passengers on board a vessel. Make sure that your PFDs are actually taken out of the plastic wrapper they came in prior to use. The U.S. Coast Guard does not consider these devices to be ‘readily accessible’ if they must be unwrapped first. 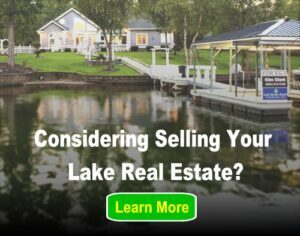 In addition, you must generally carry a throwable device on board all watercraft that is 16 feet in length or longer. When you’re not on the water, you should store flotation devices in a cool dry area with adequate ventilation. Avoid placing them in direct sunlight, as UV rays could prove harmful to them. Hang them up whenever possible rather than placing them on a shelf or the bottom of a locker. If hanging them up isn’t possible, make sure heavy objects are not placed on top of them, as this can also cause damage. Personal flotation devices play an important part in keeping you safe on the water. Although it might seem trivial, properly cleaning, inspecting and storing your PFD’s will go a long way to make absolutely sure that they are functional and in good working order should you ever REALLY need them.